One of the fora for informing Petroleum Host and Impacted Communities on the content of the Bill was organized by Emerald Energy Institute (For Petroleum & Energy Economics, Policy and Strategic Studies) EEI, University of Port Harcourt, under the auspices of FOSTER Ltd (the Sponsor). Dr. Adigwe, a Petroleum Consultant working with the Senate at the National Assembly, presented a position paper titled, ?Legislative Framework for the Petroleum Host and Impacted Communities Bill (PHICB).? He noted that the recommendations from the former Oil & Gas Sector Reform Implementation Committee (OGIC) did not contain provisions for addressing the needs and demands of Petroleum Host Communities. Reduction in total annual oil & gas production, among others. 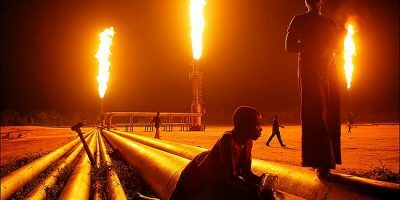 In spite of these provisions, Host Community leaders consider these benefits from petroleum operations as mere ?carrots?, and hence the clamor for stakeholdership status and some measure of control of revenues accruing from petroleum resources in their region. This has led to increased agitation, heightened insecurity in the Niger Delta Region, and incessant disruption of petroleum operations. Consequently, the 8th National Assembly commissioned a team of industry experts to develop a comprehensive legal framework that provides for sources of funding and coherent management of the Host Communities interests in the petroleum sector. This has led to the development of the PHICB, which was presented by Dr Adigwe at the stakeholders? engagement forum at the EEI. The PHICB defines a host community as ?A community situated in the Settlor?s Area of Operations, around the ?pipeline right of way?, and any other facilities as the Settlor may determine?. Absence of direct cash payments to community leaders. To create a framework for the development of petroleum Host and Impacted Communities. To ensure Host Community inclusiveness, in order to enhance peaceful co-existence and harmonious relationship between Host Communities and petroleum exploration and production operators. Reduction of cost of oil & gas production for government and oil companies. Recognition of Host Communities as stakeholders, i.e. Host communities as joint protectors of petroleum facilities. Active participation of Host Communities in resource allocation & development process. Conferment of direct measurable economic benefits from petroleum operations on Host and Impacted Communities. Joint responsibilities between petroleum operators and Host Communities could act as motivation for good community behavior. Good governance and transparent accountability for the PHCDT should guarantee success. 50% derivation pay-outs should be considered instead of the current 13%, OR government should dedicate 25% from the royalty payments for Host Communities. Provision of opportunities for participation of the Host Communities in governance of the petroleum sector. How does the Bill address the issue of environmental remediation? How about communities already impacted by already decommissioned oil and gas operations? Are there adequate structures in place for evaluating and monitoring the impact of the TRUST FUNDS over time? The 50% derivation drive would require an amendment of the Federal Constitution. The Bill provides for participation in governance and management of the oil sector by the Host Communities through the Host Community Development and Management Fund. Environmental regulation and management are covered by the provisions of the PHCDT for both decommissioning and abandonment of oil & gas operations and environmental remediation. These are also adequately covered in the Petroleum Industry Administration Bill (PIAB). Finally, in respect of monitoring and adequate supervision of the PHCDT, the Bill provided for oversight by a Commission, which will monitor and assess the management and performance of the PHCDT. The model entrusts substantial control of the Fund to the Host Communities. The proposed framework is practicable and workable, although contributions from stakeholders will help to improve the efficacy of the framework.